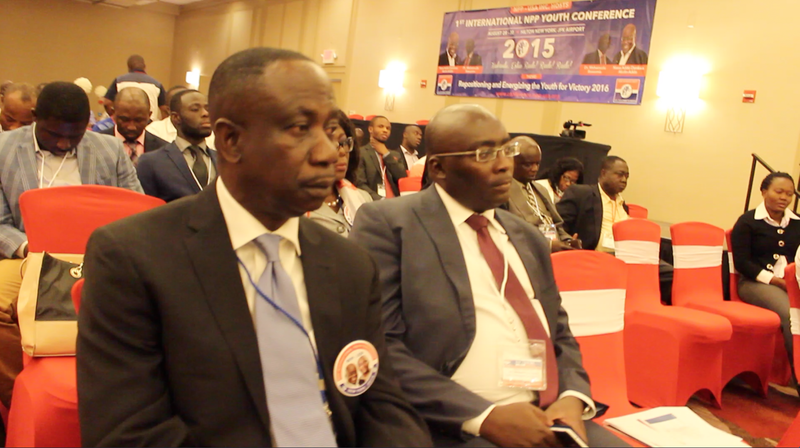 Delegates to the first International Youth Conference for the New Patriotic Party (NPP) have spoken favorably about the conference. They unanimously agree that the conference was not only vital but was also an overall success. Notable members of the party including Members of Parliament and other party officials applauded the organizers for a good job done. 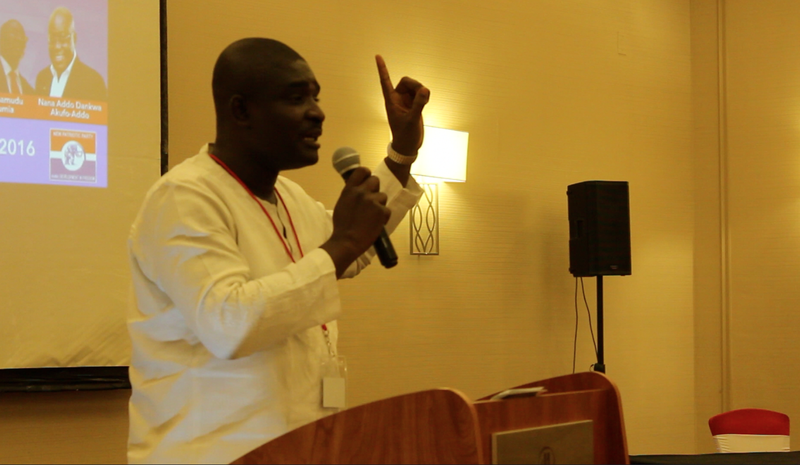 The conference was organized by the Youth Wing of the USA branch of the party and was attended by delegates from across the globe including China, Germany, Canada, the United Kingdom and Ghana. It was held at the JFK Airport Hilton in New York. Special Guest of Honor, Vice Presidential candidate Dr. Mahamudu Bawumia addressed the session. In his speech, he outlined the need for the Youth to be vigilant towards Election 2016. 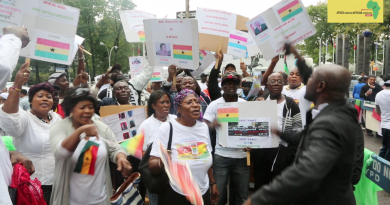 He said, the governing National Democratic Congress (NDC) in collusion with the Electoral Commission is employing several dubious means to rig the pending elections and it is the role of the youth to stay vigilant in order to check against these. Member of Parliament for Assin North, Kennedy Agyapong called on the party to cede more responsibility to the youth in order to groom them for the future as well as to offer a form of ‘reward’ for their efforts. “We also have to reward our youth with enterprise of political experience” he said. 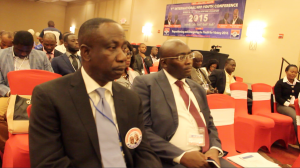 Member of Parliament for Tema East, Daniel Nii Kwartei Titus Glover on his part spoke on the need for the party to unite in order to present a common front for victory in 2016. 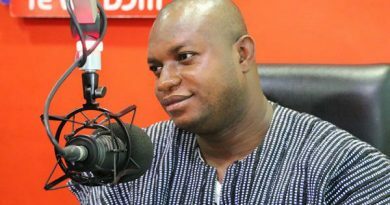 HE said he has received concerns from some within the rank and file of the party complaining about in-fighting in the NPP. 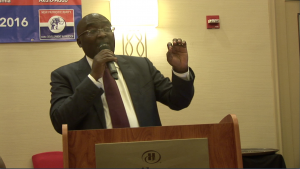 He said if the NPP fails to unite before 2016 and lose as a result, they stand to face the wrath of thousands of voters. “My duty is to remind us once again, the only thing that can power us to victory is total unity and party cohesion” he said. 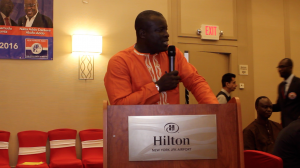 Matthew Opoku Prempeh, Member of Parliament for Manhyia South charged the overseas chapter of the party to adopt constituencies in Ghana and fund them individually to introduce some form of decentralization in the campaign approach. He said the NPP lost some seats by only a few votes and also won a few by a very narrow margin. These constituencies should be the focus of this strategy, he suggested. Other speakers at the conference included Nasara Coordinator, Kamal Deen Abdulai, MP for Tano North, Freda Prempeh, MP for Asante-Akyem North, Kwadwo Baah Agyemang and National Youth Organizer, Sammi Awuku.